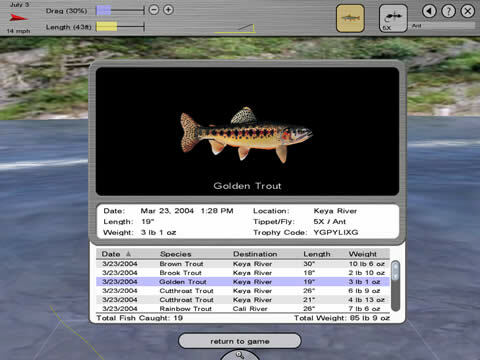 The full version has 25 different flies including dry flies, nymphs, and attractors, five 3D fish models, including rainbow, brown, brook, cutthroat, and golden trout and five scenic US destinations. You can purchase the full version from the demo. 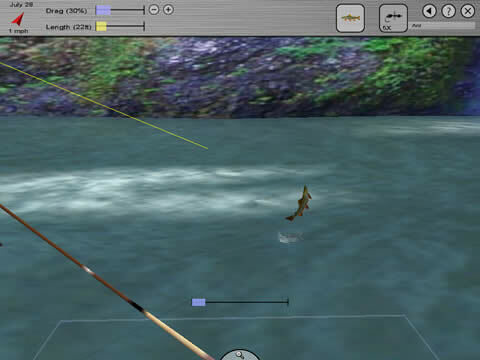 Practice different fly fishing techniques including overhead casting, roll casting, side casting, shooting fly fishing line, and mending. Learn to cast in different wind conditions, when to shoot line for maximum distance, and how current affects mending. 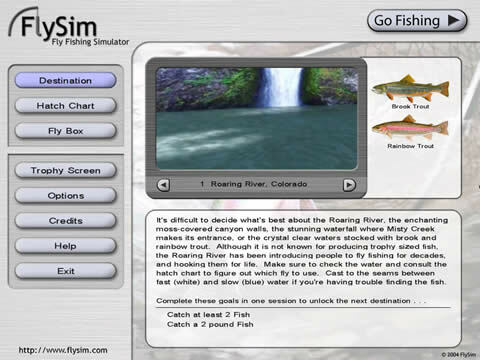 Five US Destinations: FlySim includes five scenic US destinations from Oregon to New Mexico. 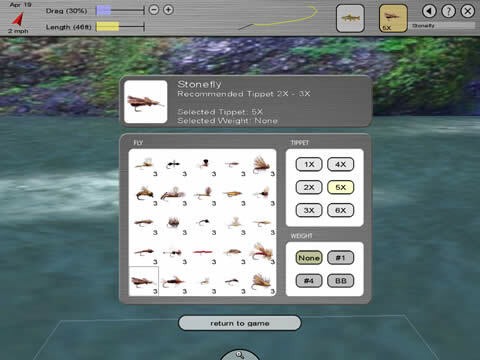 Five unique 3D fish models, including rainbow, brown, brook, cutthroat, and golden trout. You start each day with 25 different fyl fishing flies including dry flies, nymphs, and attractors. 6 Tippet sizes and 3 weight choices will help you optimize your setup for a trophy catch. Try it! 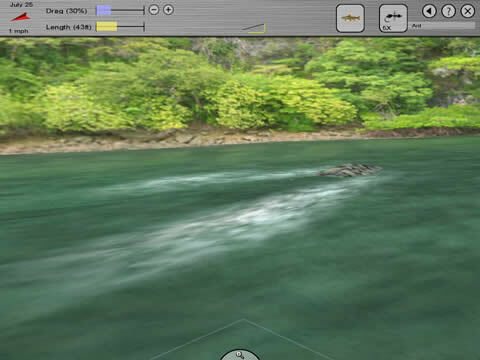 This freeware game is limited to one fish per session, one fishing destination, and one species of fish. ADD-ONS: The Full version has more features!